A trip to the local Target made it very clear that Easter is coming. The seasonal shelves are full of candies and chocolates shaped like bunnies, chicks, and eggs. In a day and age where the true origin and meaning of the holiday is usually lost in a sea of consumerism I think it’s important that we take just a moment to talk about Easter. Thankfully I found a basket at Target that helped remind me. It was before Peter Cottontale, Jesus returning from the dead, and ancient pagan rituals. You see this Easter basket reminds us that a long time ago in a galaxy far, far away Han shot first. 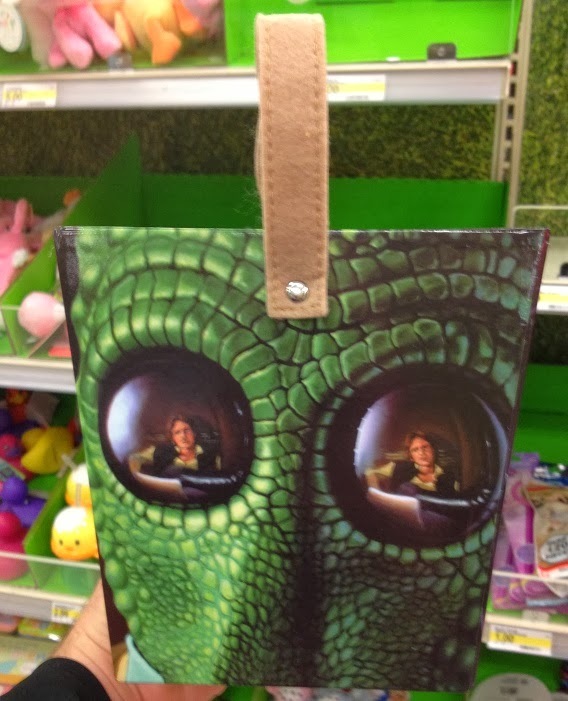 No seriously, this is a thing you can buy; Greedo’s face with the reflection of his killer showing up in his alien eyeballs. It stopped me in my tracks when I saw it on the shelf. Each side of this Easter basket contains a different face but this struck me as so morbid I stood there staring at it for probably five minutes before I started taking pictures. As I said, there are other sides to the basket. The Vader, Stormtrooper, and Fett sides just don’t strike me as odd as Greedo though. Still this basket of death is probably on the shelves of your local Target if you need one.